The videos from the lecture are here. Photos here. One more here. Plus photos at the Richard Michelson Galleries webpage here. Description on the Hammer Museum page: "9/13/11 --- Actor turned photographer/folk anthropologist Leonard Nimoy discusses his photographic project, Secret Selves. Inspired by the Greek mythological idea that ever since Zeus split humans in two each person has been searching for his or her other half to feel complete, Nimoy asked subjects to reveal their hidden halves in front of his camera. The result is a collection of more than 100 portraits and interviews that explore humanity's alternate self. 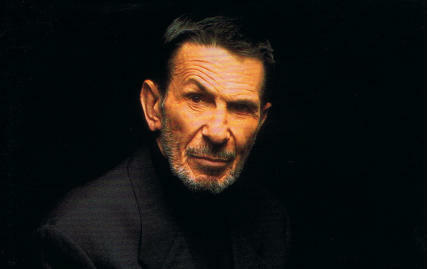 Nimoy will discuss what was revealed about his own secret self while capturing others'. Q&A with Zach Quinto. (Run time: 1 hour, 3 min.)" Join us for an intimate evening of insight into one of film and television’s greatest icons. Called ‘the conscience of Star Trek,’ by Star Trek creator Gene Roddenberry—the award-winning actor, director, poet and photographer Leonard Nimoy shares his portrayal of the rational and emotionally suppressed Vulcan as part of a remarkable and diverse career that’s left an indelible imprint on American culture!